Located at No. 3, Xijin West Road, Qilihe District, Lanzhou, Gansu Provincial Museum is a large comprehensive museum in Gansu Province. The museum has collected more than 350,000 pieces of historical and cultural relics, modern and cultural relics, ancient cultural relics, and paleontological fossils and specimens. Gansu Provincial Museum offers the permanent exhibition halls - "Gansu Painted Pottery" Exhibition Hall where you will know some culture through the painted pottery of Dadiwan Culture, Yangshao Culture, Majiayao Culture and Bronze Age Culture, "Civilization of Gansu Silk Road" Exhibition Hall with 420 pieces of cultural relics reflecting the ancient Silk Road, such as the bronze ware of the Northern Prairie Culture, copper running horses and honor guard, silk fabric in the Han Dynasty (202 BC – 8 AD and 23 AD – 220 AD) and the Tang Dynasty (618 - 907), Buddhist Statue, Gold and Silver, Tang Sancai, and the like. At the "Gansu paleontological fossils" exhibition hall, you will see a large number of paleontological fossil specimens found in Gansu, such as dinosaurs’ fossils, the fossil of the ancient elephant, etc. You can find the great statue at the Gansu Buddhist Art Exhibition on the second floor. It is a combination of caves copied from the Mogao Caves and the Maiji Mountain Grottoes, the white pagoda of Tibetan Buddhism, etc. The museum always holds temporary exhibitions on the ground floor. 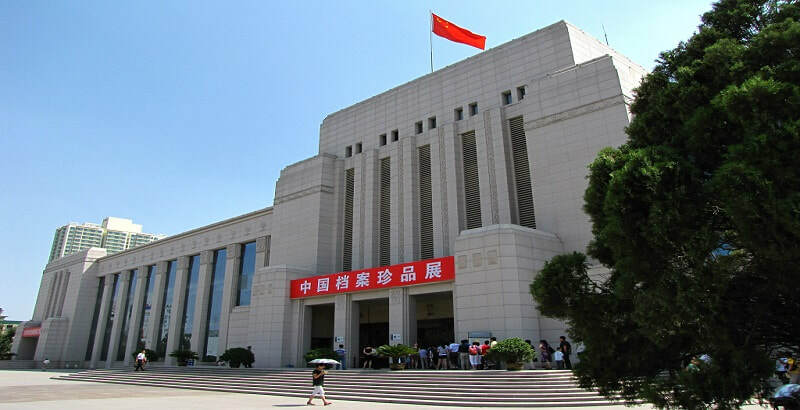 The best time to visit Gansu Provincial Museum is in the morning during the opening hours. Please do not wear slippers into the museum. Lighters are not allowed to bring into the museum. Please present your passports to the staff of the museum when getting the ticket. It is not allowed to eat at the museum. Interested in visiting the Gansu Provincial Museum on a Tour? Wendy Wei Tours offers a variety of different packaged tours as well as custom tours including the Gansu Provincial Museum, among other attractions and destinations. To find out more, please visit our Tours page or Contact Us directly to find out more.